I left you positively hungering for news. Here you go. 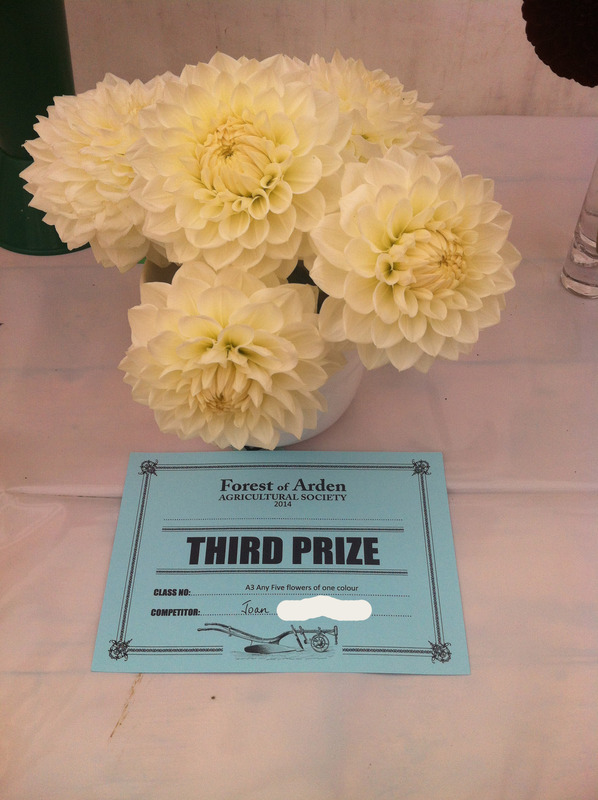 Mum’s Dahlias earned a creditable third in a large class. My Christmas… thing… also made it to third, but against weaker competition. My faith in the intrinsic justice of the universe was naturally instantly restored, although honesty compels me to add that, when I finally examined the jar for myself, I thought it a tiny tad over-set. 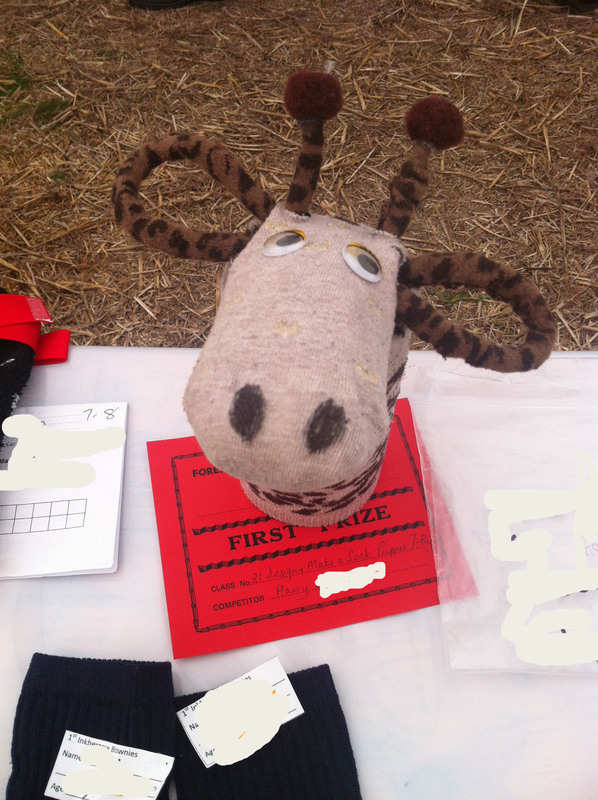 Everything else I entered came no-where; with the sole exception of the brownies – which tasted simply bloody divine – I thought deservedly so, as they met stiff competition. 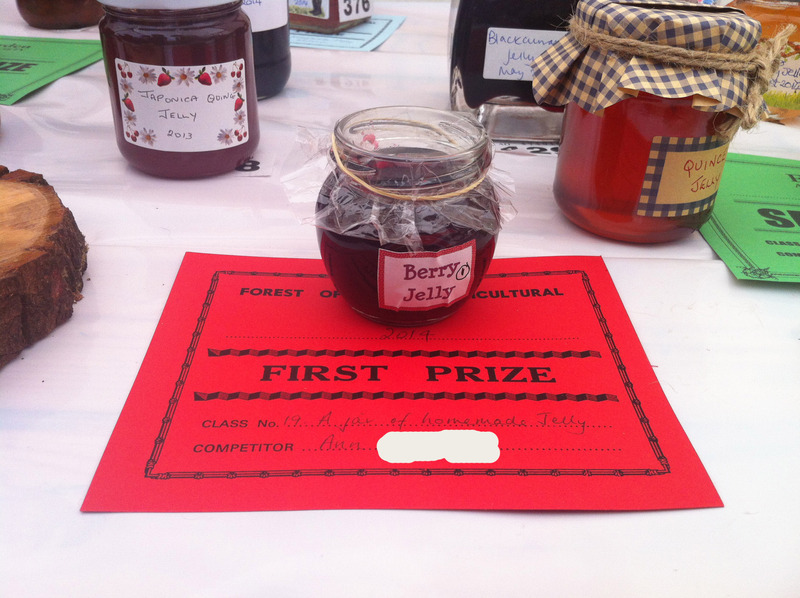 A 1st, 2nd and 3rd was, although satisfactory, nowhere near putting me in amongst the silverware. I had failed, damnit. However! 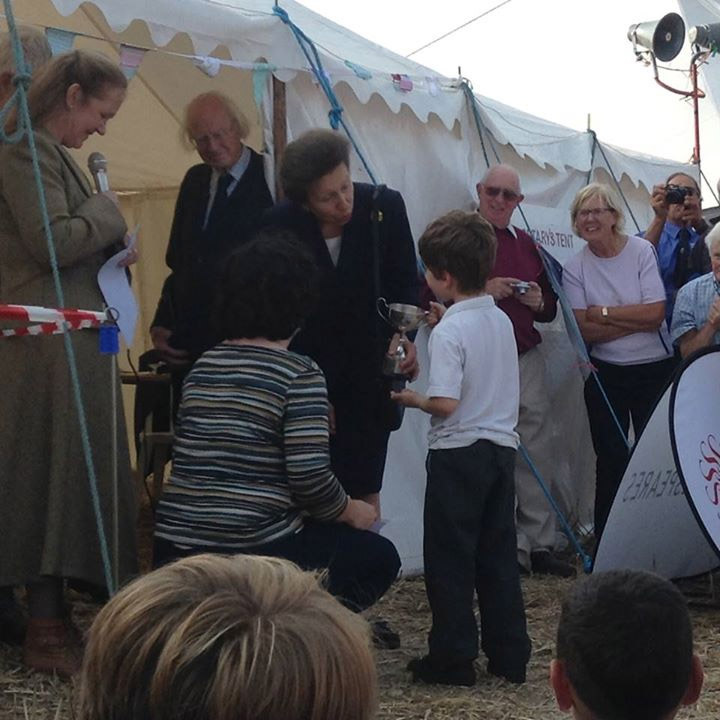 Harry had cruised to victory in both of his classes. I was too excited to take a close-up of the hedgehog avec certificate – also, most of his bristles had fallen brittle victims to a day of small-fingered inquisitiveness by pick-up time. We didn’t mind. Because (the movie of this post would feature a suspense-crescendo on the score just around… here), unbeknownst to me, there was a trophy for most points scored in the children’s section. So! 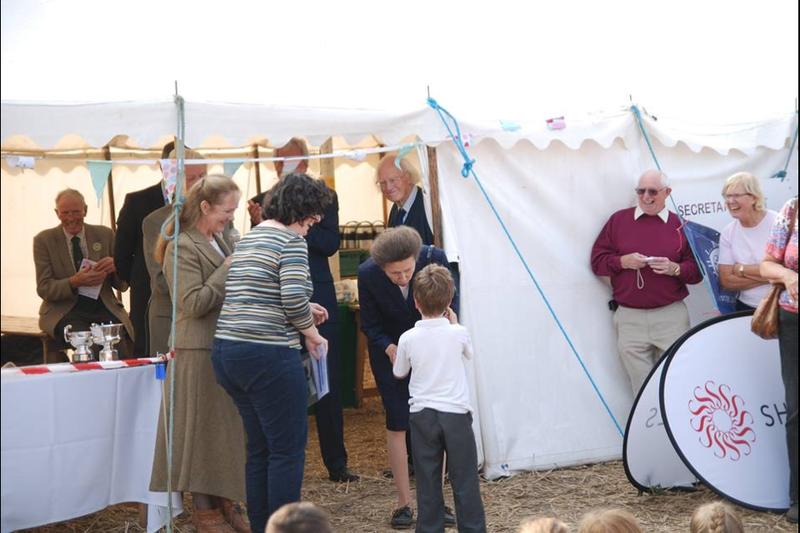 Last, littlest, but not, to my mind, least, Harry intrepidly beetled up to be presented with his silverware from *ta-dah* The Princess Royal, HRH Princess Anne. I’m not sure Presentation quite covers it, because what he ACTUALLY did was reach out very promptly on arrival and make a determined effort to pluck it neatly from her mildly startled hands – but the ensuing hilarity was entirely good natured. I have dutifully stumped up the £16 to have the blingy thing engraved. It’s never been won twice, I note, so we will give it another bash next year, although the 2015 dignitary is almost certain to be less exalted and hence have a tough gig; it’s taken the secretary over 20 years of trying in order to bag a Royal. I am quietly thrilled to bits that Harry won THIS year, naturally. All in all: a good day. I like those. “against weaker competition”… Blimey. Don’t you want any local friends? The blogosphere is never safe. Never. Congratulations to you, your Mum, and of course Harry. Yes. That’s a point. Only the winners’ names are published. My local friends could be fuming! Inevitably: everyone knows someone who knows everyone. However: the Judge’s word is final! 🙂 Sometimes it’s about how many hours you’ve clearly put into the work, almost irrespective of aesthetics. Sometimes, something you know is bloody good just doesn’t quite fit with what the Judge likes on the day. 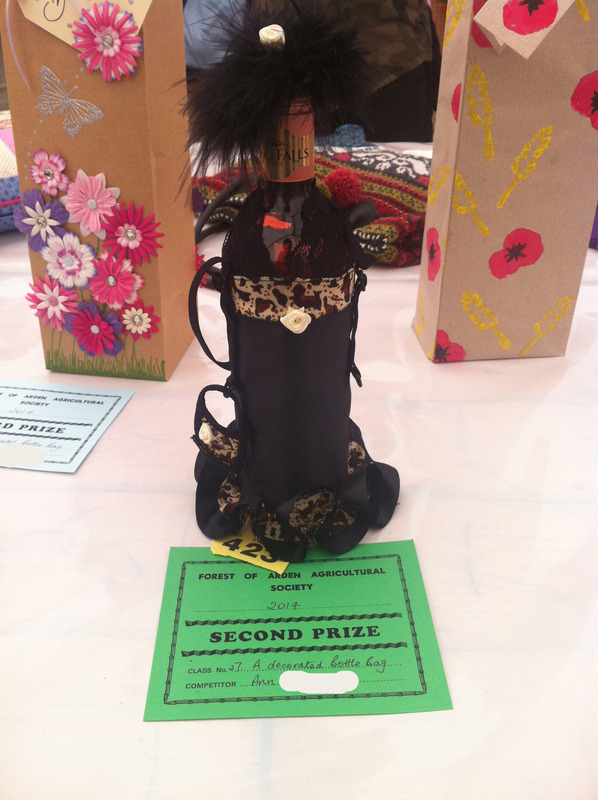 My close friend, who bakes extremely well, was pipped at the post into second for the Novice Viccy Sponge and accompanying trophy, which I was rather mournful about. I’d also have liked a taste of the top 3 to see if I concurred with (his, I think) decision making! Well done Harry! That’s a fine cup and a lovely photo. Congratulations to all of you. 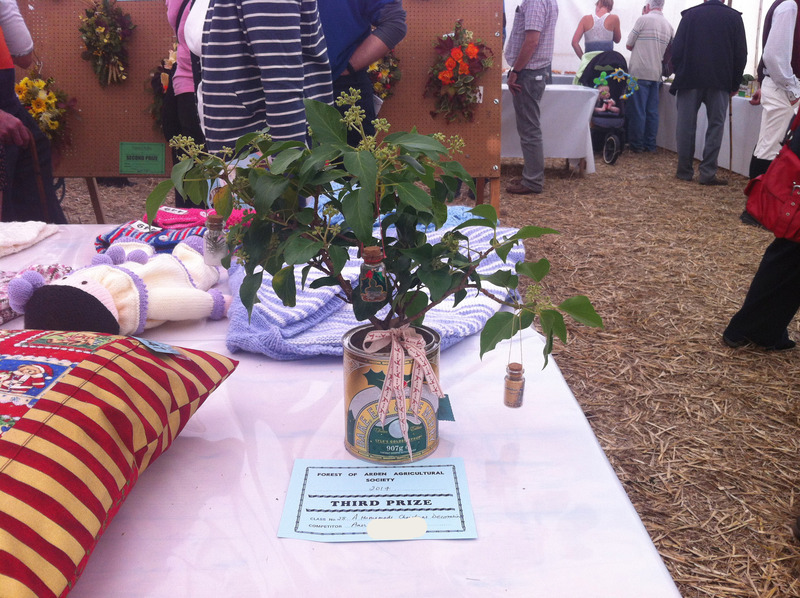 Those are exquisite dahlias, and it’s hard to imagine others were better. I still wish I had the chance to eat your failures, although I guess it would be even better to eat the successes. Special congratulations to Harry. 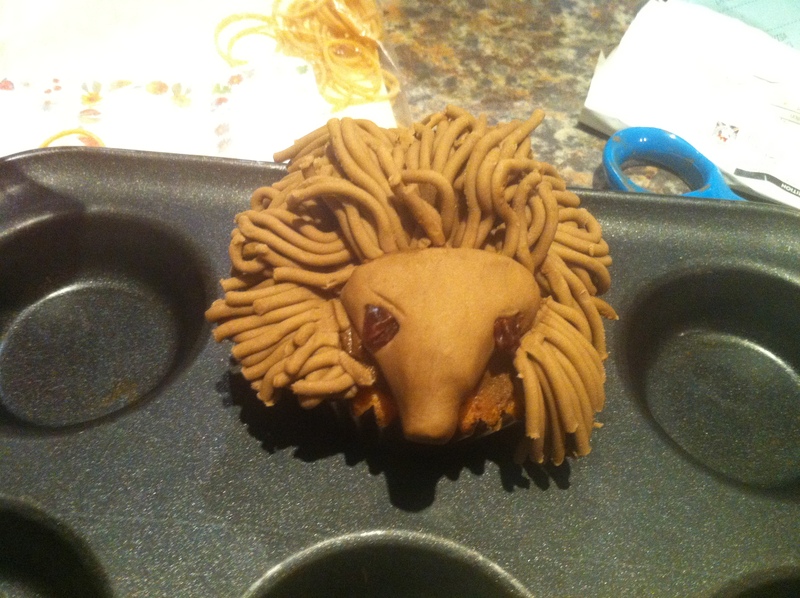 That hedgehog is great and I might steal the idea to make some cupcakes for a friend of mine who loves hegehogs. With only a little adaptation, a lion cupcake could be made. 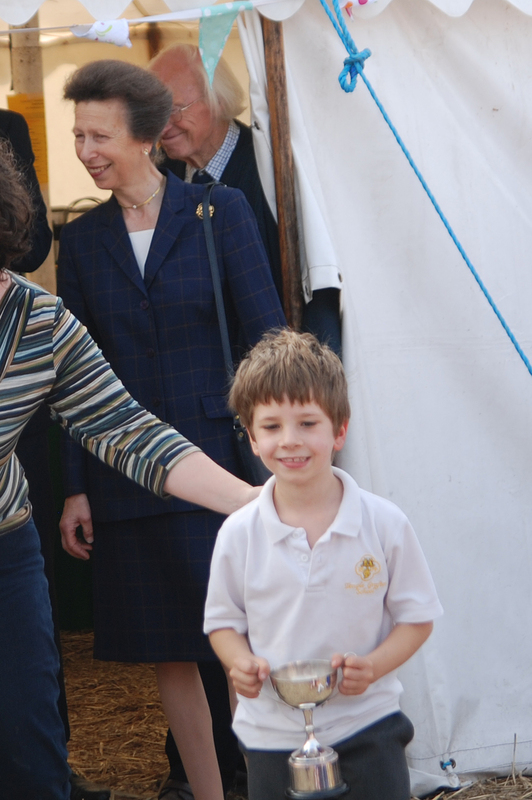 IHow lovely that HRH got to meet charming young Harry! How nice that someday she’ll be able to say, “I knew young Harry when..”‘ I’m with Sarah on your mum’s dahlias — gorgeous! And please pass the jelly. too.